Closing the railroad is ridiculous. Keep the rail, and let the train proceed. It’s part of our history. Make it multi-use, if you have to, on the days the train is not running. Put bike trails on either side of the tracks. Keep the rails. 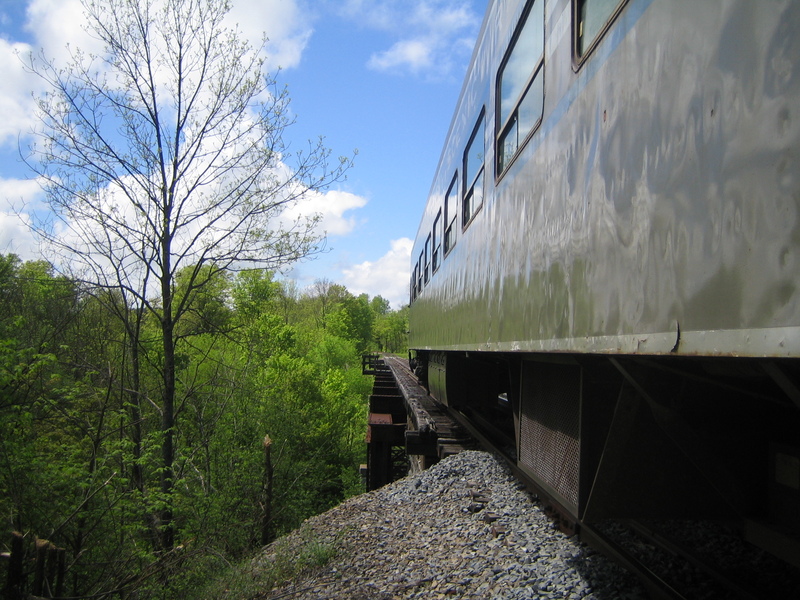 From a Vienam veteran who would like to be able to ride the train from Utica to Lake Placid. Come to your senses New York State leaders! Rails And Trails make for a unique Adirondack experience! There is much to be gained economically by keeping the rails and refurbishing the train cars! It will be cost effective to add a trail alongside the rails as this will increase the tourist attraction, thus benefiting the local economy. Please keep your promise to the 1996 UMP! A deal is a deal….no buts!